A different,yummy and easy method to prepare Jamun, when u have little gulab-jamun mix left over for u to try.Just try this Yummy Idli-Bread Jamun and enjoy this with ur family or loved ones.Happy cooking!. Heat water,sugar and vanilla essence in a vessel to make one-string consistency sugar syrup. In a bowl,add mashed idli,mashed bread slices, mawa,milk powder, gulab jamun- mix,corn flour, 3 tbsp powdered sugar, and baking powder.Knead this to make a fine dough. Shape this into 1 1/2 cm size balls. Heat ghee & oil in a kadai and fry these kneaded balls at low flame till golden brown. Put these fried balls in the step 1 sugar syrup and Bring it to a boil for a min. When it begins to boil,turn off the flame and cool this till it gets to the room temperature. yummy Idli-Bread Jamun is ready to be served as sweet in get-togethers.That's all. Hi Arpana!,the taste differs a little.Try it at home to see how it tastes. Thank u so much Chitra & Arpana.This will turn out soft if u leave this soaked for an hour atleast and shd be fried till they turn light brown. Different recipe, does it tastes different too like it sounds to be? Will these turn out soft? 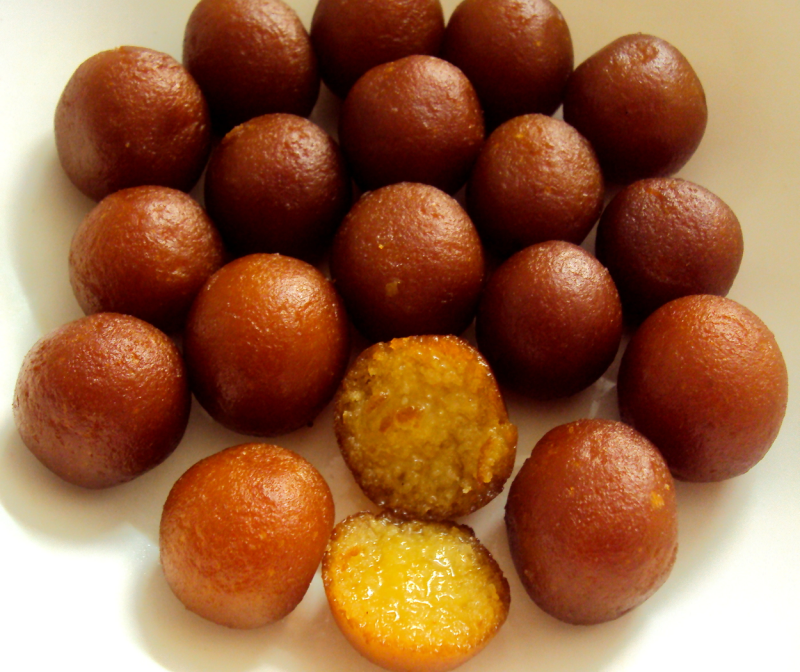 Hi rabz!,thanks a lot once again.This Jamun will be yumm and differs little in taste. This is something new and interesting. tahnks christy.